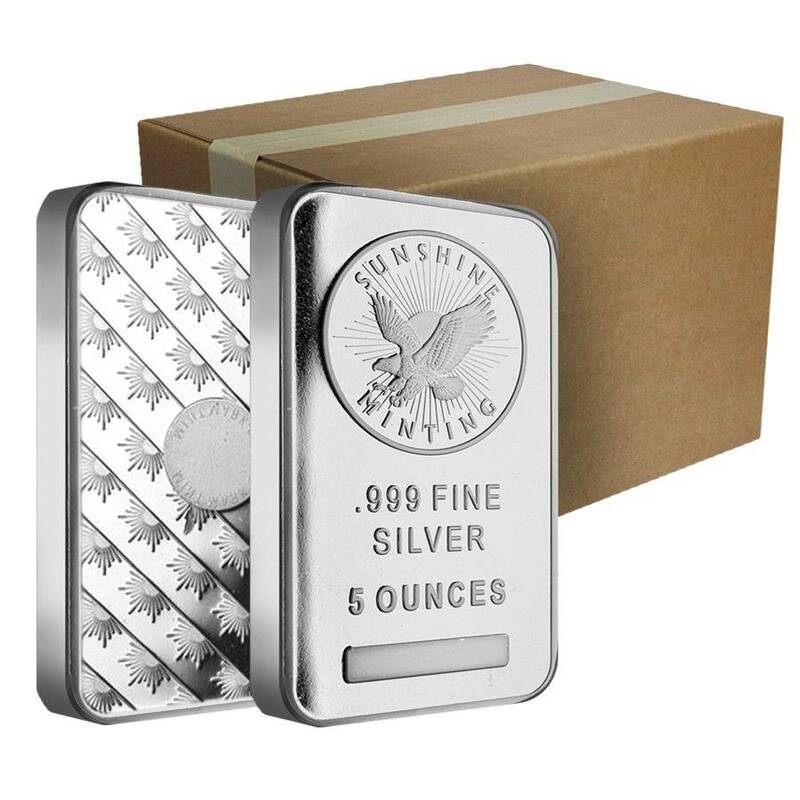 Bullion Exchanges is thrilled to offer the 5 oz Silver Sunshine Mint Bar in sealed protective packaging. 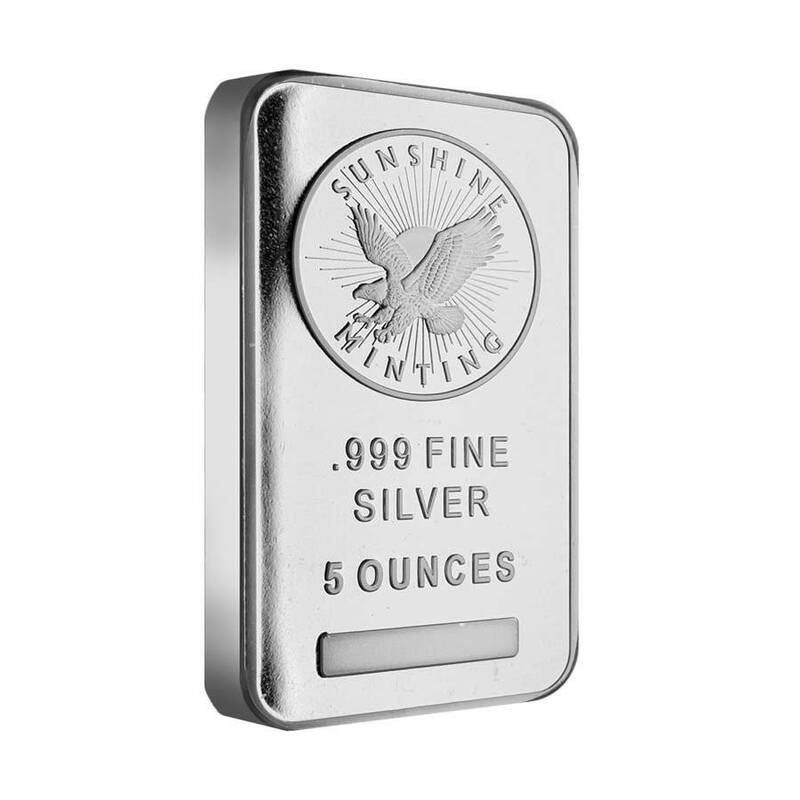 Sunshine Minting, Inc., is known for the high-quality and extraordinary craftsmanship they produce in their precious metals products. Sunshine Minting is also the number one supplier to the US Mint for blank silver coins and is based in Idaho. These silver bars contain unique anti-counterfeiting security features, allowing buyers to verify the silver bars origin and silver purity, and are made with a favorite singular artistry design. These silver bars come in 1 oz., 5 oz., and 10 oz. sizes. The obverse of this silver sunshine bar features the beautiful design of the silver eagle along with the weight stamp, .999 fine silver purity stamp, and the name of the mint “SUNSHINE MINTING, INC.” The reverse contains Sunshine Mint’s SI security detail with diagonally orientated images of a burning sun surrounding its circle. Inside the security circle of this silver coin reads “Mintmark SI” which is the name of the anti-fraud device. Using Sunshine Mints’ decoder lens, investors and collectors can hold the decoder card up to the circle to test its authenticity. Holding the decoder up to the circle will reveal “Valid” and holding the decoder up 90 degrees will show a sunburst identical to the other sunbursts on the silver bar. Reverse: Contains Sunshine Mint’s SI security detail with diagonally orientated images of a burning sun surrounding its circle. Inside the security circle of this silver coin reads “Mintmark SI” which is the name of the anti-fraud device. Using Sunshine Mints’ decoder lens, investors and collectors can hold the decoder card up to the circle to test its authenticity. 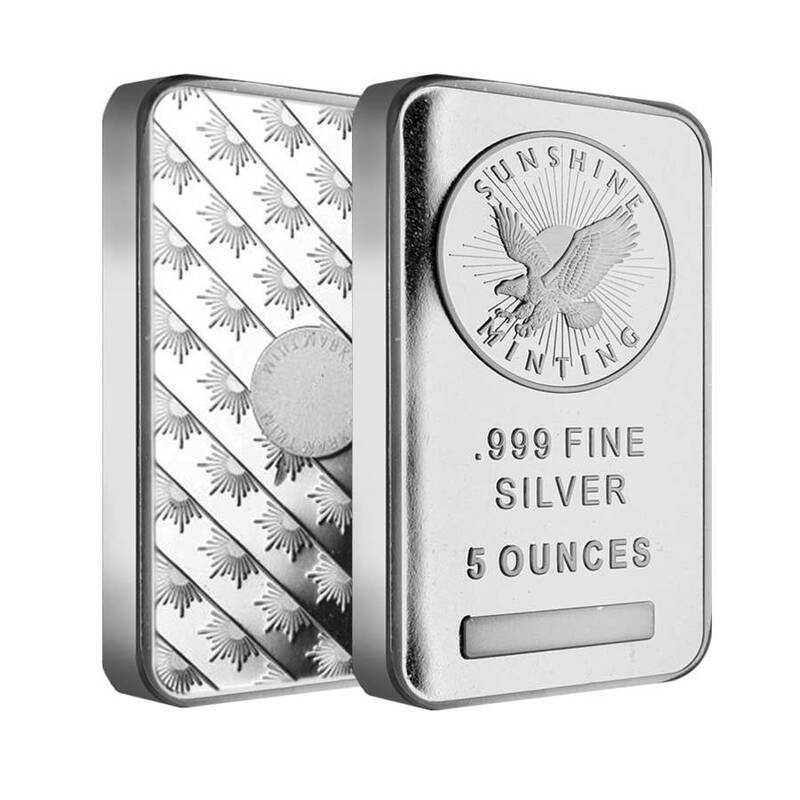 Bullion Exchanges is pleased to offer you the Sunshine Mint Bar. 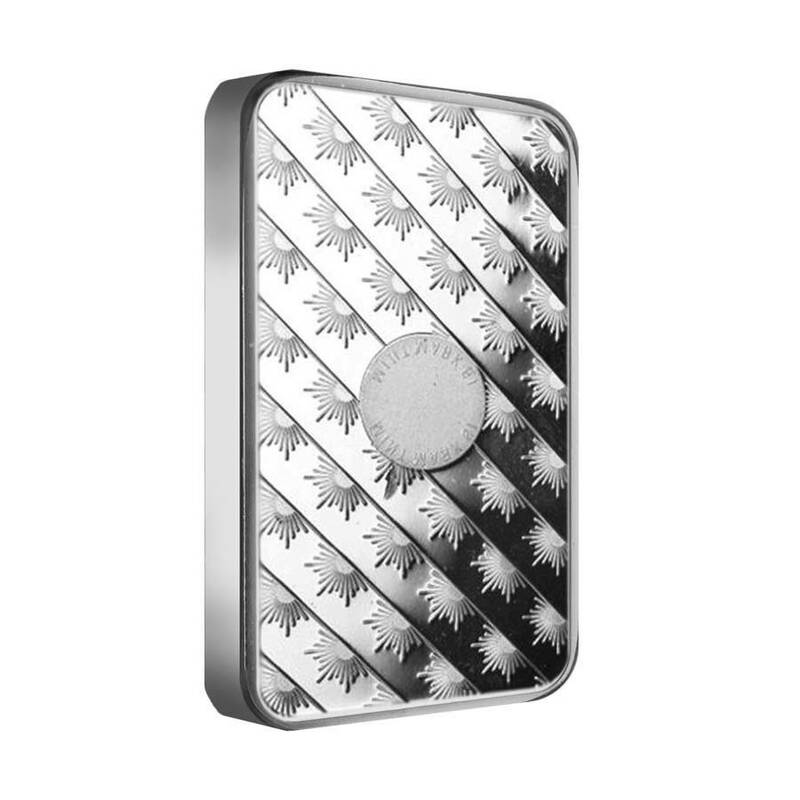 Add this silver bar to your collection or investment portfolio today before it’s sold out. We will package and ship to you with the highest of care. If you have any questions about any of our products, including this silver bar, reach out to us via chat or send an email to customerservice@bullionexchanges.com. Our friendly and knowledgeable associates are standing by to assist you. Bullion Exchanges provided me with easy online ordering and super fast shipping. I got my sunshine mint bar in great condition. Can't wait for my next order! I am a repeat customer, and this was another great transaction from BE! Keep up the great work! I will continue to shop with and refer your company to friends and fellow collectors. This bar arrived brand new, packaged well, and exactly as described. The SI technology feature is cool, this bar is a great addition to my collection! Extremely speedy delivery. I received almost a week earlier than expected. The bar was packaged discreetly, and the quality was great! With this purchase, you earn 84 Bullionaire Bucks 84 BB = $0.08.